It is unusual to find a snowy owl in Wyoming because they breed in the arctic tundra and usually spend their entire lives there, but Dr. Charles Preston, the former curator of the Draper Natural History Museum, said these owls are known to erupt. Preston said there was a great mystery about the eruption of the owls. Occasionally, they would show up in Atlanta or throughout the Rockies or even down in Mexico. So, what causes the eruption? Preston said the answer turns out to be related to food supply. A key food of the snowy owl is lemmings. They are small, mouse like creatures that live in the tundra. 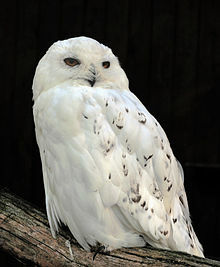 This means snowy owls respond to an increase in food by producing more young. This creates a crowded situation, so in the winter some members of the population erupt or move further to the south.